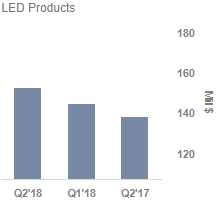 Leading LED manufacturer Cree (NYSE:CREE) reported its fiscal Q2 2018 earnings on January 23. The company’s revenues from continuing operations decreased by 8% year-over-year but increased 2% sequentially. The company has seen its top line and profitability decline substantially in the last few years, owing to fierce competition in the LED industry, which has suppressed LED prices as well as Cree’s market share. However, it is worth noting that Cree’s performance, in terms of both revenues and margins, did dramatically improve in recent quarters on a sequential basis. This comes as a source of respite for management, which is expecting a turnaround in its business in the upcoming quarters. For Q3, the company is expecting revenues between $335-355 million. 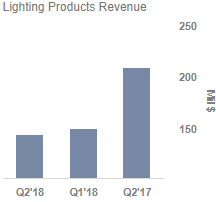 Lighting revenues are likely to be to be lower than the previous quarter by 10%, primarily due to the weak North American market, and LED revenues are likely to suffer under the seasonal impact of Chinese New Year and Christmas. 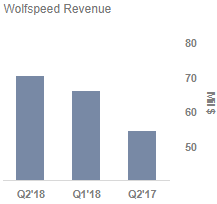 Meanwhile, the Wolfspeed business is expected to grow sequentially as the company continues to improve its productivity. What Has Gone Well For The Company? – Building Capacity in Wolfspeed Business: Revenue from this segment grew by 7% sequentially and 30% year-over-year. This is attributable to higher factory utilization and improved production. The company is seeing significant demand in silicon carbide and is currently working on improving capacity. – Expanding LED Product Portfolio: Supported by a favorable product mix, the company’s revenue improved by 6% sequentially and 11% year-over-year. Cree is expanding its LED product offering with new high-power and mid-power products that leverage its market leadership. The company’s joint venture with San’an can help Cree increase its presence in the mid-power LED component market. Lighting Products revenue was down 3% sequentially in the quarter. Commercial lighting was affected by the continued weakness in the North American market. Cree is looking to boost revenues and margins by investing in channel relationships, improving execution, and continuing to deliver innovative lighting solutions. Cree believes that, even though the previous quarters were soft, the non-residential construction market will pick up in subsequent months. 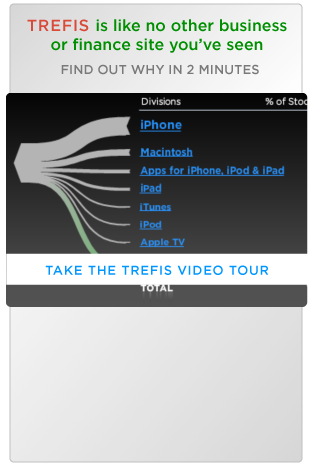 With an expanded product range, the company hopes to get into new applications, which can drive growth going forward. Despite that, it will take several quarters to rebuild significant growth momentum in the Lighting business.